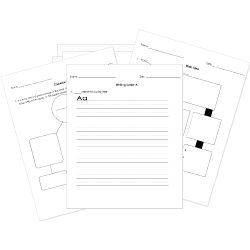 You can create printable tests and worksheets from these Grade 9 Autobiography of Malcolm X questions! Select one or more questions using the checkboxes above each question. Then click the add selected questions to a test button before moving to another page. What religion did Malcolm associate with? What is the point of view of the text? Why does Malcolm X have a white girlfriend when he lives in Boston? "I've had enough of someone else's propaganda. I'm for truth, no matter who tells it. I'm for justice, no matter who it is for or against. I'm a human being first and foremost, and as such I'm for whoever and whatever benefits humanity as a whole." What time during Malcolm X's life do you think this quote came from? Why? As a child, Malcolm feels somewhat like a "pink poodle." What does this mean? People think he's extremely funny. People treat him nicely because he's different, for show. People love to dress him up and parade him around. People don't want him because he's different. "In one sense, we were huddled in there, bonded together in seeking security and warmth and comfort from each other, and we didn't know it. All of us - "who might have probed space, or cured cancer, or built industries - were, instead, black victims of the white man's American social system." According to this passage, what held Malcolm and others back? What frustrates Malcolm most as a child? He's treated as a symbol, not a person. He is stuck in foster care. He doesn't have a lot of friends or privileges. He's not treated equally because he is black. How do Malcolm X's views on racism change throughout the text?